We are looking forward to the annual conference for the Society of Cinema and Media Studies, convening this week in Toronto. Browse new titles and save 40% online with discount code 17E3831, or request an exam copy for consideration to use in your upcoming classes. 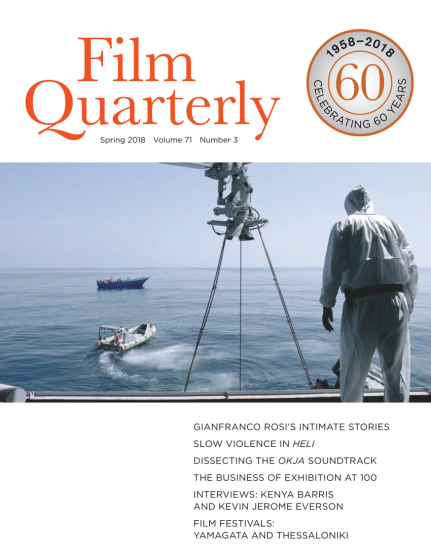 Film Quarterly is celebrating its 60th anniversary this year. Come pick up a copy of the journal’s new March issue, the first issue for the 2018 anniversary year. Raina Polivka, Acquisitions Editor for our Cinema and Media Studies lists, will be in the booth daily (Thursday, March 15–Saturday, March 17) from 4–5 pm. 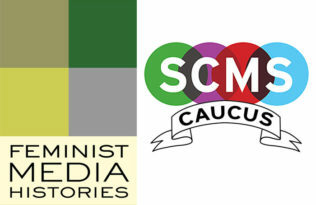 Shelley Stamp, Editor for both the Feminist Media Histories journal and Feminist Media Histories book series, will be in the booth on Friday, March 16 from 10–11am. 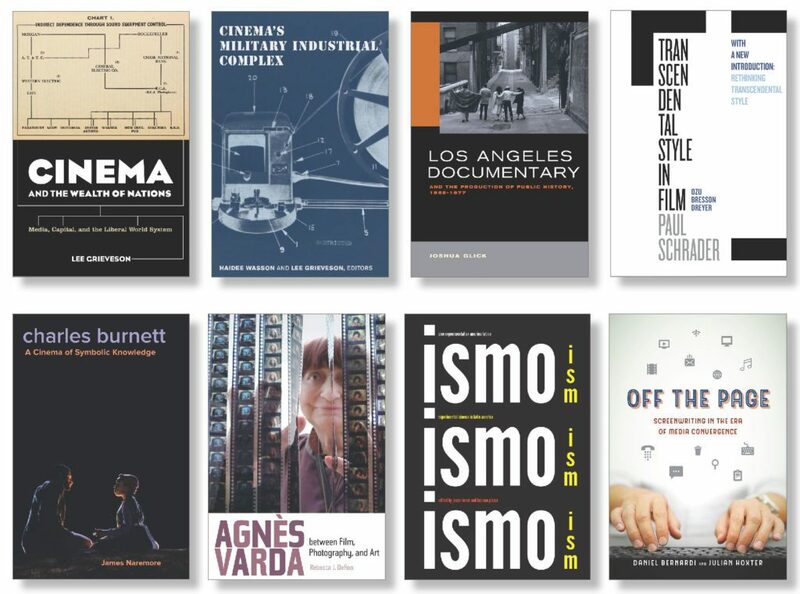 The Feminist Media Histories book series publishes feminist histories of film, radio, television, video, playable media and digital culture across a range of periods and global contexts. Inter-medial and trans-national in its approach, the series features historical scholarship on an array of 19th-, 20th- and 21st-century media, examining the historical roles gender and sexuality have played in film, video, audio, and digital technologies, while documenting the engagement of women and LGBTQ communities with these media as audiences and consumers, as creators and executives, as critics, writers and theorists, as technicians and laborers, and as educators, activists and librarians. Ruby Rich, Editor for Film Quarterly, will be in the booth on Thursday, March 15 from 3–4 pm, and Regina Longo, Associate Editor for Film Quarterly, will be in the booth on Friday, March 16 from 2–4 pm. Jean Ma, Series Co-Editor (with Jim Buhler) for California Studies in Music, Sound, and Media will be at the conference actively seeking proposals. The California Studies in Music, Sound, and Media series offers scholarship on music and sound in film, television, games, music video, advertising, radio, and new media, in order to promote innovative approaches to the theory and history of media. The aim of the series is to take music and sound as a springboard for rethinking key concepts in media studies, for forging connections across media and disciplines, and for building a global, context-specific knowledge of media history. 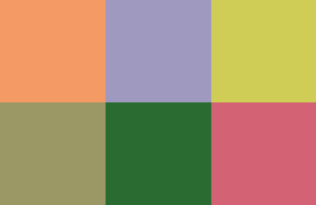 Topics include studies of the integrated soundtrack; audio-visual poetics; industries and practices of music and sound; technologies of sound reproduction and representation; histories and phenomenologies of listening; and voice, corporeality, and affect. Richard Abel, Giorgio Bertellini, and Matthew Solomon are Series Editors for a brand new book series, Cinema Cultures in Contact. Giorgio Bertellini will be in Toronto. The Cinema Cultures in Contact series publishes single- or co-authored books that examine cinematic exchanges across borders through rigorous, original studies of specific instances of movement, transaction, translation, displacement, exchange, encroachment, and/or other modes of “contact” between cinemas in two or more national contexts. Books in the series are engaged with primary sources and current scholarly discourse in at least two different languages. Proposals to the series should be transnationally oriented not only in terms of subject matter, but also in terms of methodologies, references, evidence, and argumentative scope. The series’ advisory board includes Nilo Couret (University of Michigan); Manishita Dass (Royal Holloway, University of London, UK); Kay Dickinson (Concordia University, Canada); Frieda Ekotto (University of Michigan); Aniko Imre (USC); Rielle Navitski (University of Georgia); Markus Nornes (University of Michigan); Masha Salazkina (Concordia University, Canada); Laura Isabel Serna (USC); Johannes von Moltke (University of Michigan); and Zhen Zhang (NYU). Watch this space for more SCMS-related news throughout the week.